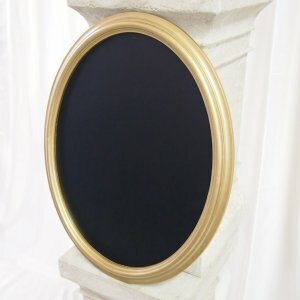 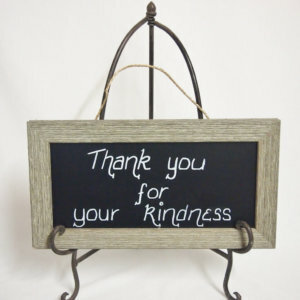 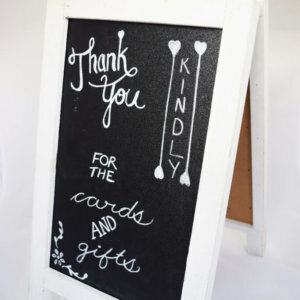 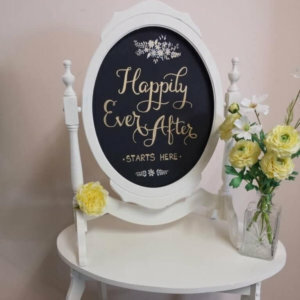 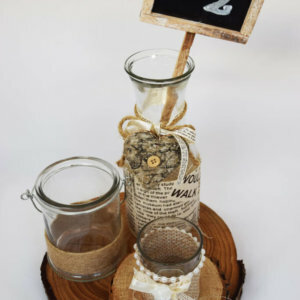 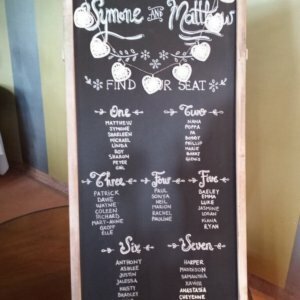 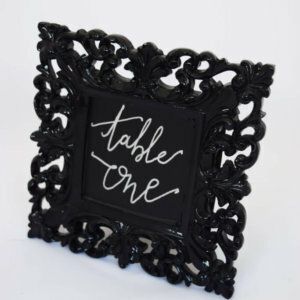 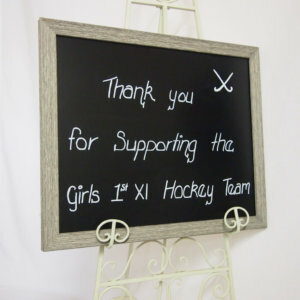 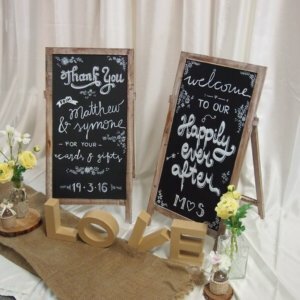 Blackboards Chalkboards make ideal Directional Signs, Welcome, Thanks, Table Seating Plans, Photo Backdrops, Messages of Love or just for Fun signs. 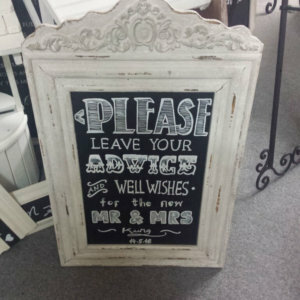 Frames in natural wood, Guilded in Gold, Dark Stain, Shabby Chick and more. 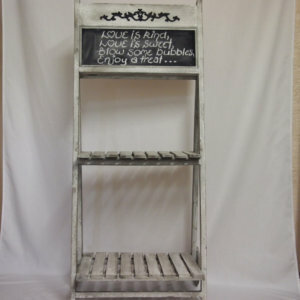 Available in various sizes from small to very large – over 2m high. 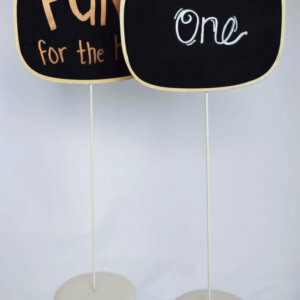 So many uses at weddings, 21st Birthday and any other ages. 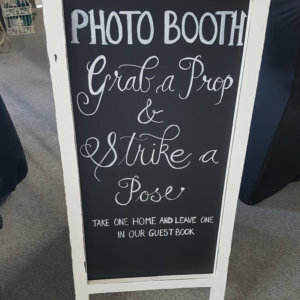 Engagements, School Balls and so much more. 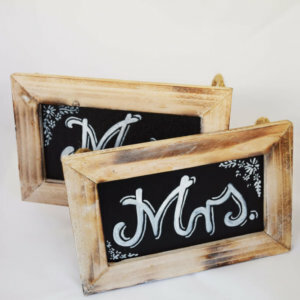 Stunning Chalk Art makes the blackboards sing with style. 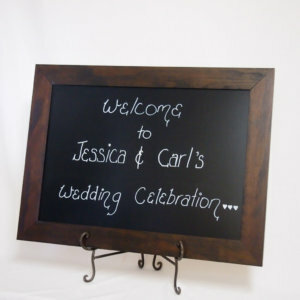 Bring us your desired look and we are happy to create it with your names and dates. 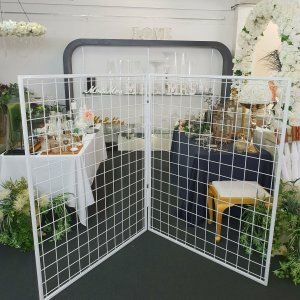 These are a perfect fit for every occassion.